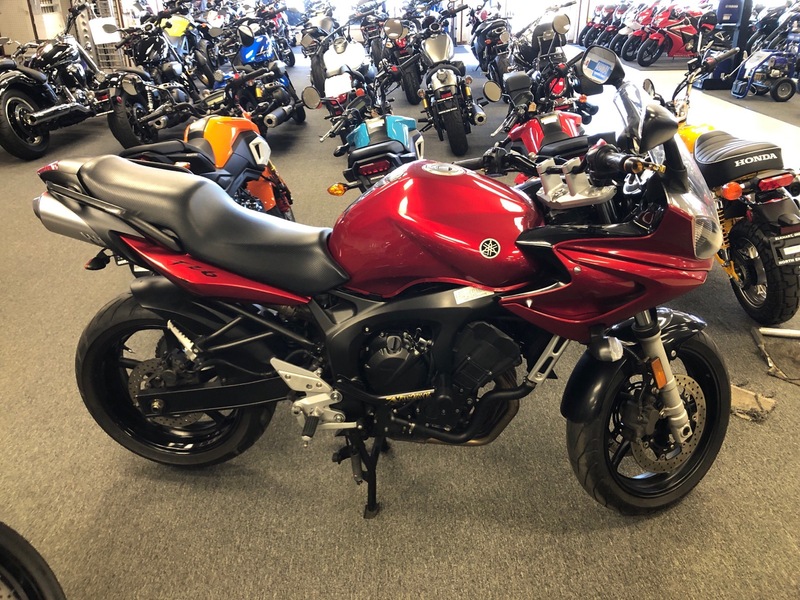 Used 2006 Yamaha FZ6 Motorcycles in Elkhart, IN | Stock Number: 008538. MIDDLEWEIGHT SWISS ARMY KNIFE... Fuel-injected R6 power and a light, strong aluminum frame. If you need one motorcycle to do everything, the FZ6 is it! Available from December 2005. 120/70-ZR17 and 180/55-ZR17 radial tires complement the FZ6's modern look, and its increased torque and great handling fully exploit the superb grip they provide. Large winDual Sportcreen provides good protection and minimal noise; anti-reversion panels on each side of the fairing reduce turbulence. Dual 12V 60/55-watt multi-reflector headlight gives a sleek, R1-type profile for superb aerodynamics and visibility. Completely unique, CAD-drawn fuel tank meets the neeDual Sport of style, handlebar clearance and tactile feel in one beautiful package crafted from high-stretch titanium-rich alloy. Center stand for easier maintenance. Placing the engine's crankshaft axis close to the FZ6's roll axis aiDual Sport quick handling and light, positive steering. 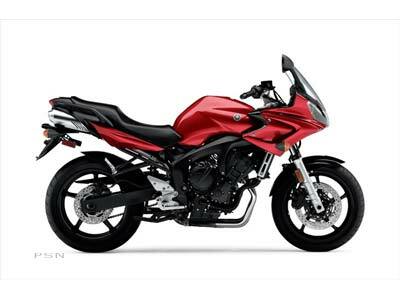 Single shock linkageless rear suspension is simple and light with sport-biased damping tuned for a controlled, progressive feel; extruded aluminum swingarm is 23.2 inches long for reduced chain-pull effect, further bolstering the FZ6's outstanding handling. Placing the battery under the fuel tank and behind the steering head helps achieve 51 percent front wheel weight distribution and excellent handling. 600cc liquid-cooled 16-valve DOHC four cylinder engine uses cams and intake tracts tuned to produce maximum torque at 10,000 rpm, maximum power at 12,000 rpm. Powerful 32-bit processor and 4-jet bidirectional injectors negate the need for the R6's suction-piston vacuum assist system and are 75 percent lighter. Stainless steel underseat exhaust system with heat shield looks cool and doesn't interfere with passengers or luggage. Acoustic analysis of the downdraft intake tract and exhaust produce a bike that sounDual Sport as cool as it looks. Yamaha Air Induction System, along with a metal honeycomb type catalytic converter, let the FZ6 pass strict EU2 and CARB emissions standarDual Sport. Style and performance: Controlled Fill aluminum frame, a high-tech half fairing and an undertail exhaust are just a few of the FZ6's upscale components. Super-light and compact fuel-injected YZF-R6 engine is tuned for enhanced midrange performance as well as strong revvability. Even better finish quality of the upper fairing, frame, engine and swingarm back up the FZ6's outstanding style and performance.